How to Use LinkedIn 15 Minutes Daily to Maximize Exposure to Your Business or Profile? 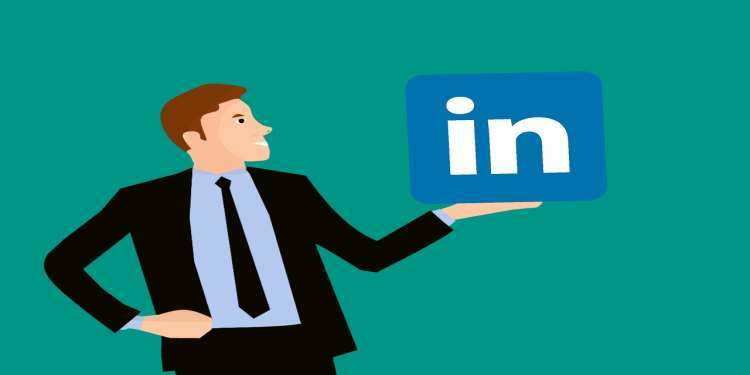 Though the principal objective of the renowned web platform, LinkedIn, is to facilitate networking among corporate experts and to function as some kind of repository for resumes, its tremendous success and its near-infinite pool of inspired users have, however, transformed the website to a valuable marketing channel. Businesses, both start-ups and established ones, now make use of the LinkedIn platform to garner lots of exposure for their products and services just like other social media channels. While Facebook, Instagram, and Twitter are geared towards prospective customer bases that intend to socialize, LinkedIn specifically targets corporate entities as well as entrepreneurs. Many who fail to see the opportunity that abounds when using the LinkedIn platform simply cannot grasp the idea of using a top-rated recruiting website to promote or get some exposure for a business. The fact, however, is that LinkedIn can no longer be classified as a recruiting service since nearly half of its transactions aren’t even remotely recruitment based. If you don’t just want to promote your business to a customer base but want to have a decent conversion rate, then exposing your business to a group of people who are ready to patronize you gives you your best shot. The same can also be said for freelancers that wish to increase their clientele list. LinkedIn provides a lot of opportunities for those looking for freelance work since it is mostly composed of users that are responsible for executing a corporate task. It is also important to understand that you do not have to spend all your day on the LinkedIn platform before achieving a tangible goal, unlike most other social media channels that require lots of devotion and commitment to efficiently execute a marketing campaign. With a 15-minute daily session, your business or freelance expertise can gain the exposure it needs in order yield a fruitful return. The use of the internet channel to market products and services has necessitated more creative inputs in the marketing of products and services. Since you’re unable to converse in person with prospective clients and convince them to patronize your business or freelance services, your best chance of actually making any connection with other LinkedIn users is to have an amazing profile that is both engaging and compelling. The first impression is quite a strong perception creator, and it can be the difference between converting a prospective LinkedIn user and losing the individual forever. Your profile, whether it is for any of the online freelance jobs or for business, should be captivating at first glance otherwise you risk losing your target audience. The profile and cover images you use form two major elements that influence the ability of your LinkedIn profile to convert visitors and make sales. Your profile image should be a very clear picture of yourself with a headshot preferably with a full body image. It is also advisable to use a corporate environment in the background as it showcases you in a professional light to your LinkedIn page visitors. Your cover image, however, is where you incorporate your business’ brand, so it is important that you make use of an eye-catching design that will immediately get the attention you want. If you’re unable to come up with the cover image yourself, outsourcing the task to an expert in any of the freelance job agencies may not be a bad idea. The LinkedIn poll is quite a potent tool in the hands of a very resourceful expert and can be used to maximize the exposure of a business or profile. By getting specific information about the interests of your target market, you’re able to re-strategize and narrow your prospective customer base to successfully execute a marketing strategy that will certainly give you the conversion rate your desire. By regularly creating polls on topics related to your service, you can tweak your marketing campaign to conform to the needs of your customer base, without any hindrance whatsoever. Freelancers and entrepreneurs who can use the LinkedIn platform to successfully promote their careers and businesses attribute their success to joining a LinkedIn group and actively participating in discussions that fuel the forum. It is just not enough to have a profile and hope that visitors will just find it, you must consistently interact with the rest of the LinkedIn community, to attain a level of recognition and also promote your product. LinkedIn Groups provide the platform for you to engage an audience, that is actually interested in what you have to offer, without the risk of losing their attention. You must ensure that you contribute daily to group discussions and bring up topics that won’t only foster productive conversations but will also promote the services you offer. When you’re trying to market a product or a freelance service via the LinkedIn channel, it can be a bit difficult to get the exposure you need to facilitate commercial transactions. If you’re, however, a LinkedIn user that has been given an endorsement seal for competence and reliability, the process of marketing your product or services becomes a walk in the park. It is important that you continuously seek out recommendations from other LinkedIn users because it ensures that you create an element of trust for prospective buyers or clients visiting your page. Sending recommendation requests should indeed be a daily task since receiving them helps with your validation and also boosts consumer’s confidence in your product or expertise. LinkedIn isn’t your typical social media platform and doesn’t generate as much buzz as other platforms in that category; it is, however, one of the most effective marketing channels for businesses and freelancers who want to maximize their exposure. LinkedIn is the biggest corporate networking website, yet its real value isn’t as a hiring tool but as an effective marketing tool for the sale of products and services. This is how you can use LinkedIn for just 15 minutes daily to market your product or expertise to prospective customers.